Young Australians want to for work for employers that offer workplace giving, and are attracted to the convenience and financial advantages of the programs. New research conducted by the Social Impact Hub, in collaboration with the Australian Charities Fund (ACF) and Seek, found that young people would favour one employer over another if they offered workplace giving. “They’re definitely seeking it out, and that came through in the research, that it would be a motivator for employees to actually consider one employer over another if they knew they had a great giving program in place,” CEO of the ACF Jenny Geddes said. She said that, once a program was in place, there were four key motivations behind young Australians’ engagement in workplace giving. “They need to have an emotional connection with the causes that the employee chooses with the organisation,” she said. “Trust really came through… they want to give to partners which they know are reliable, trustworthy and financially transparent, and they want to ensure the money they give makes it through to the people who need it. “Visibility was another big area, they want to see how their contributions are making a difference, and while they said their contribution is important, but it’s the collective impact that’s just so powerful in workplace giving. They might be giving $5 a week but when they combine that with hundreds of colleagues, that really is a considerable amount of money. Geddes said the research uncovered an important role for charities to play in working with their employer partners. 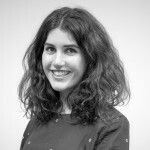 “The main lesson for charities is to really help their employer partners promote what they do, and certainly… reporting impact, providing great feedback to the employees on where that contribution has gone, how it’s been spent, and what changes it’s making in society is quite critical,” she said. This finding backs research Pro Bono Australia previously reported on, which said charities were missing out on millions from workplace giving. The research also found that, although young people were interested in workplace giving, many workers weren’t aware their organisation had a program in place. “It’s very important for the employer to promote the program well and ensure that it’s very well publicised, and when a new employee starts their sign-on processes are in place and that throughout the year there are ample opportunities for employees to actually hear about it,” Geddes said. She said it was also important for workplaces to chose a range of partner charities to ensure that they were “broad enough to cover quite a few social issues”. 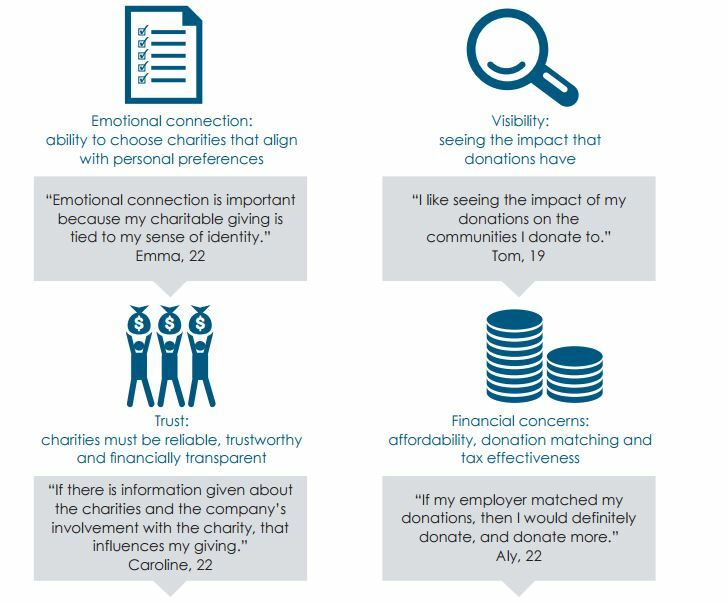 The research showed that young Australians support a range of causes through workplace giving. The health sector came out on top with 40 per cent, followed by social services with 31.4 per cent and international activities with 23.4 per cent. According to the research, 25 to 30 year olds donated $267 a year, and 15 to 24 year olds donated $224. Young workplace givers were also highly motivated by opportunities for matched contributions.